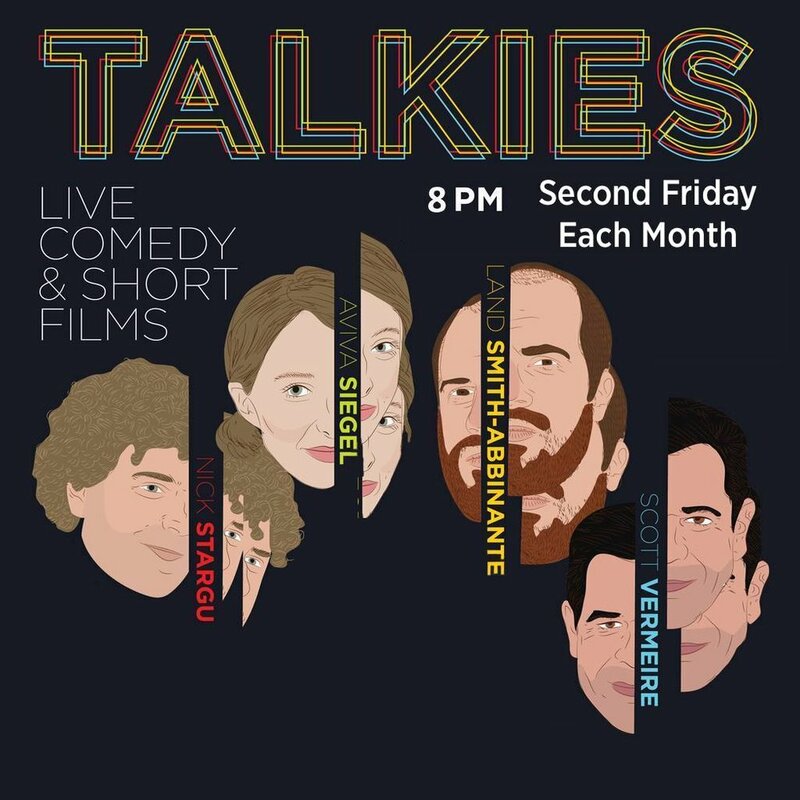 Talkies is the Bay Area's best unconventional, experimental, and multi-media live comedy event every third Friday. At Talkies, comedians, writers, improvisers, and performers work outside of their regular routines to push the boundaries of comedy; PowerPoint presentations, characters, and off-stage antics are the order of the day. Started in the basement of San Francisco’s Lost Weekend Video store, this monthly show has been an incubator for many unique comedy talents spreading their wings on weird flights of fancy. Past guest performers have included Brent Weinbach, Ron Lynch, Erik Charles Nielsen, Myq Kaplan, Sad Vicious, Calvin Johnson, and Beth Lisick. The show is a regular feature of SF Sketchfest and almost always sells out.